Find My Workspace lists over 95% of the business centres market in Hipperholme. Simply click Request Quote to check pricing for one office, or Add to Basket for multiple offices. Fully furnished office space available from one to six people in the busy village of Hipperholme. All offices are fully furnished with workstations and lockable pedestals. Modern facilities in high spec, pleasing environment. Everything included – even the tea and coffee! 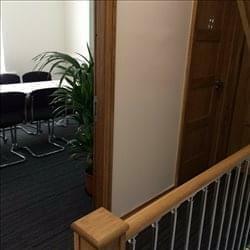 Meeting room facilities available FOC. Mail handling and franking service available. 24/7 access.